Italian wine isn’t just the pride of the nation; it’s their passion too. If you’ve never tried out Italian red wines, you’re missing out on some of the simplest and most beautiful pleasures of life. You’re missing out on life! At first, Italian wine labels many come across as confusing. In truth, they’re far from that. At the top, in the biggest font, is the name of the grower. That’s us – Montemaggio. After that – in most instances – comes the region in which the wine was created. Here, if you look at the image, you have the exquisite Chianti Classico wine created in the Tuscany region. Beneath that, you should be able to see the year it was made (Riserva, 2007). The year is called vintage. Typically, the term Riserva may have different implications in different regions. For Italian wines, these imply wines of superior quality that have been aged longer than non-Riserva wines. There may also be additional labels, such as IGT, DOC, DOCG, etc., more of which we’ll discuss ahead. How often have you come across the abbreviations of DOCG, or something similar to it? Feel like you’re out of your league with this one? Let’s break it down. These abbreviations basically stand for wine classification. 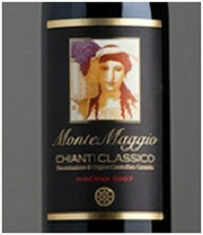 The strictest classification in Italy is DOCG or Denominazione di Origine Controllata e Garantita. These are wines that have to be specifically made in the zones that are DOCG protected, which are prescribed by a governing body. Second in line is the DOC or Denominazione di Origine Controllata. These wines are also well regulated and have to be made within specific zones. Then there is IGT that stands for Indicazione di Geografica Tipica, and refers to a region and a blend. The regulations for VdT wines, Vino da Tavola, are the simplest. The only criteria here is that the wine must be created in Italy. Remember, these classifications are not to indicate the quality of the wines. In truth, some the best wines may or may not have these associated classifications. At that point, any one member on the table may offer to become the taster. It must be noted here that the main purpose of this tasting is not to reject a wine because the taste does not appeal to you. The waiter has brought you the wine you’ve selected. The reason for doing this is to ensure that the wine has not gone bad. So if the wine isn’t spoilt, you shouldn’t turn it away. If you’re serving wine at home, you should know that there are different types of Italian wines that can be served as a starter, during dinner, at the time of dessert. That’s right. In matters of wine, the devil is surely in the smallest details. The kind of wine glass in which you serve your wine adds to its taste. An Australian glassmaker, Georg Riedel, in 1986 released a collection glasses for different wines. After hosting many wine tasting events in different wine glasses, it was concluded by even the newest of wine consumers that there indeed was a difference in taste! So make sure you choose wisely. When you’re pouring red wine, it is recommended that you pour only half way full, or just under; almost never to the brim. If you’re looking to buy Italian wine, explore the wine collection at Montemaggio for a range of exquisite and high quality wines and organic wines.